This entry was posted in Award-Winning, Bullying, Children's Picturebook, Kid Fans, magic word, Manners, Picture Book, sherrill s. Cannon, Uncategorized on January 28, 2016 by Sherrill S. Cannon. 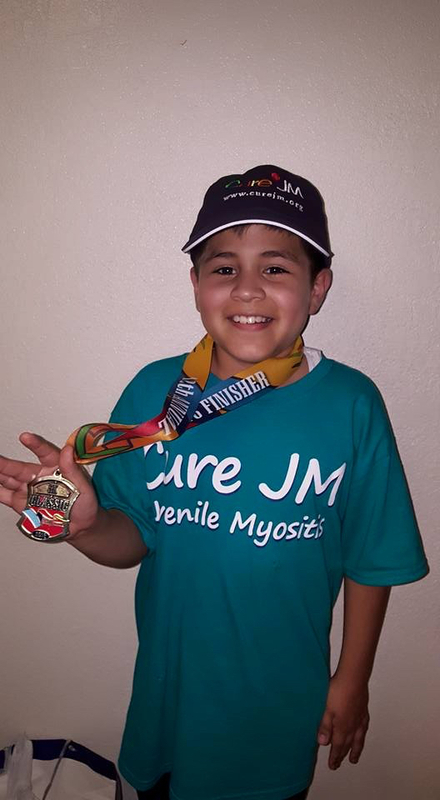 First CureJM Fundraiser 2016…thanks Jaden!! Fun to get the first CureJM Fundraiser order for 2016! Please remember that everyone can help by getting great books for kids and grandkids (and their friends) and support CureJM – Juvenile Myositis, an incurable children’s disease – at the same time! Please visit the on-going CureJM Fundraiser at http://sbpra.com/curejm where 50% of the cost of my award-winning children’s books goes to the CureJM Foundation. The names of many JM kids are included in my upcoming 2016 book, “The Golden Rule”. Please help us find a cure for kids like Addie, Alyssa, Brookelyn, Cassie, Daisy, Dmitri, Eldon, Jaden, Kinser, Tristan and all the other JM kids – and the many adults who also have this horrible disease!!! This entry was posted in Award-Winning, Children's Picturebook, Consideration for Others, CureJM, Fundraising, Kid Fans, Picture Book, sherrill s. Cannon, Uncategorized on January 24, 2016 by Sherrill S. Cannon. This is what happens when a 3-year old tells the story of Peter and the Whimper-Whineys… along with the App. 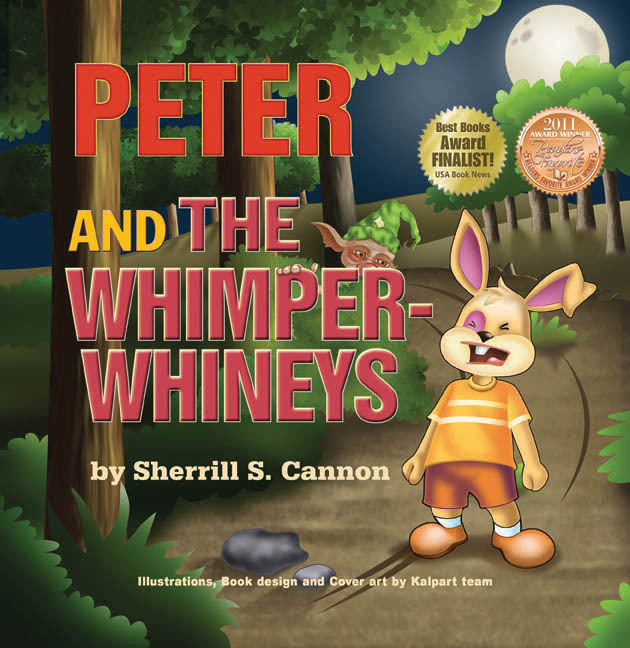 This entry was posted in Award-Winning, Behavior, Book Reading, Children's Picturebook, Picture Book, SBPRA, sherrill s. Cannon, Whining on January 16, 2016 by Sherrill S. Cannon. It’s a lot of fun, because your child can listen to the story and turn the pages, read the story by himself and turn the pages, or record the story by herself and turn the pages! The actual voiceover is done by a friend of mine, Deborah Benner, who is an acclaimed voiceover artist as well as vocalist, and actress. Right now she can be seen on House of Cards, and was the voiceover for the Mom in “Fairly Odd Parents”, and is the lead singer for Trio Caliente… her resume is awesome! Please help your child stop whining…!!! 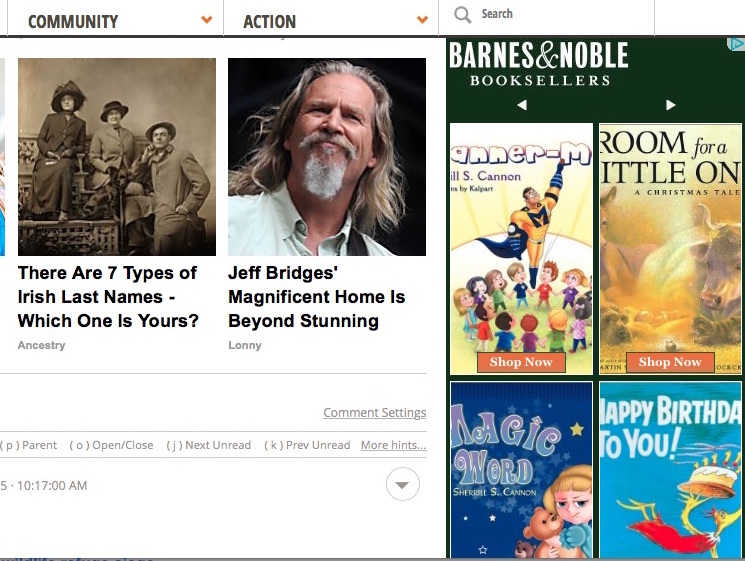 This entry was posted in Behavior, sherrill s. Cannon, Uncategorized, Whining on January 14, 2016 by Sherrill S. Cannon. Thanks for the nice review of Gimme-Jimmy by Carolina Andrea DuFault! Gimme-Jimmy is part of the Multi-Cultural Children’s Book Day, to be celebrated at the end of January. “Gimme-Jimmy is the perfect book to be used during bullying prevention week at school, at home or any time you need to go over social skills/manners with children. And I mean children of all ages! There is always one (or more than one) student in the classroom who needs help socializing with other children, or needs help learning how to be kind to others. Teaching with the example is one way to do it and this book introduces real life examples. What I liked about this book is that the setting and characters are school related, so it is easy for children to identify themselves with the story. The ways in which the main character shows his behavior and manners are very realistic, and what happens to him as a consequence of his behaviors it is very funny indeed. Since the book is written in rhyme and the vocabulary is easy for children, it is fun for a read aloud or per reading. The illustrations show diversity with children of different race. The family setting encourages the participation of the male role as a guidance, giving a break to the female role from the teaching duties. This entry was posted in Award-Winning, Behavior, Bullying, Children's Picturebook, Consideration for Others, imbullyfree, Manners, Picture Book, Review, Reviews, sherrill s. Cannon, Uncategorized on January 8, 2016 by Sherrill S. Cannon.